Celebrate 50 years of Star Trek with this super-unique pin featuring the unflappable Captain Kirk. From Fansets comes a set of highly collectable pins that includes all your favorite characters from the Star Trek Universe. Collect Khan and all your other favorite characters in pin form (sold separately)! These pins are the perfect addition for anyone's collection or outfit. 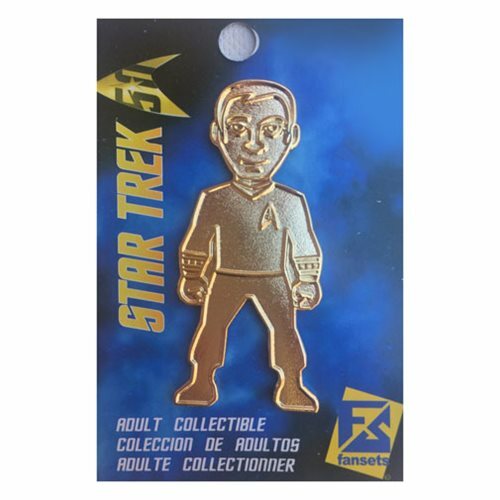 This Star Trek Gold 50th Anniversary Captain Kirk Pin measures approximately 2-inches tall and is gold plated..